Home Boca Viewpoint	Camino Square: Bye Bye Bike Lanes? 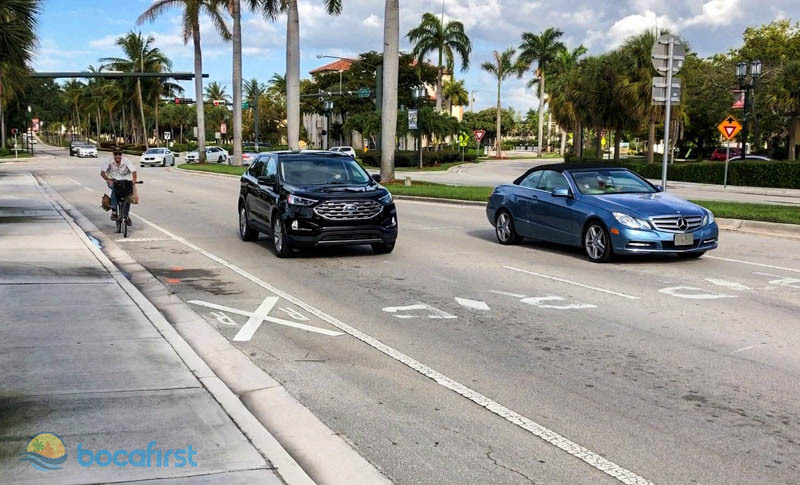 The residents and businesses of southeast Boca Raton are due the traffic improvements to Camino Real and Dixie with or without the Camino Square project. If you agree, contact your council members. 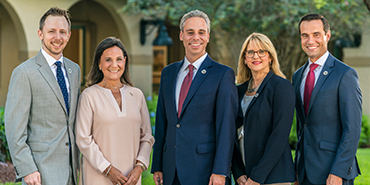 On April 8th, 2019 the Boca Raton Community Redevelopment Agency (CRA) will have a public meeting which could result in the approval of the Camino Square development. 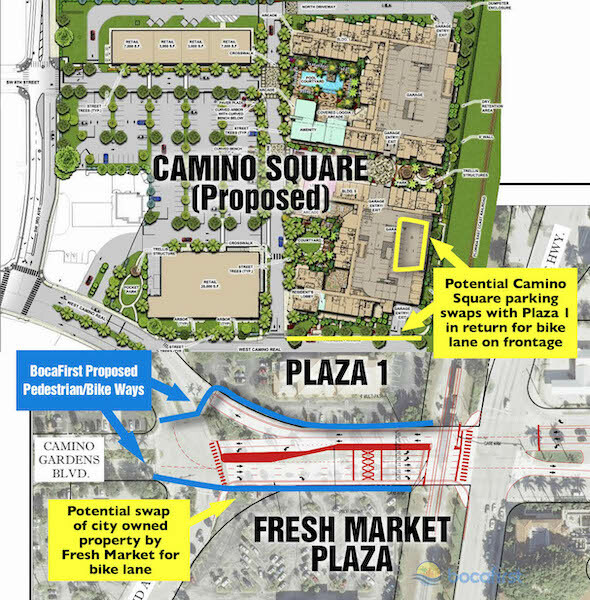 As proposed, Camino Square consists of 350 units in two, eight story apartment buildings and two retail buildings all located on the old Winn Dixie nine acre site. It also includes dog park next to the railroad and small pocket parks. The land owners are Florida Crystals and Kimco Realty. See our companion article “Camino Square: What You Need to Know” for more information. Lane design for improvements from early days of CRA that were not made in 2015 as dictated by Ordinance 4035. Diagram Courtesy Ele Zachariades. 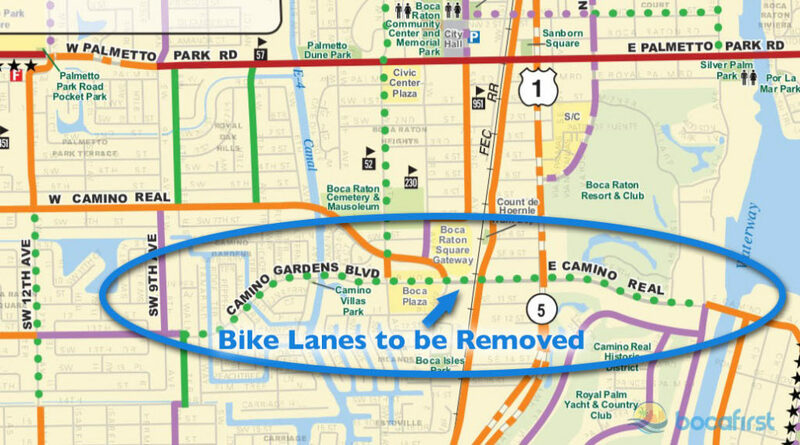 Currently, there are designated bike lanes through the Boca Square and Camino Gardens neighborhoods. They go from from SW 9th Avenue to the Intracoastal. The eastern half of the trail is on Camino Real starting at the intersection where the proposed Camino Square project is located. At the March 27 community outreach meeting on the proposed project, roadway improvements were presented as part of the proposal. 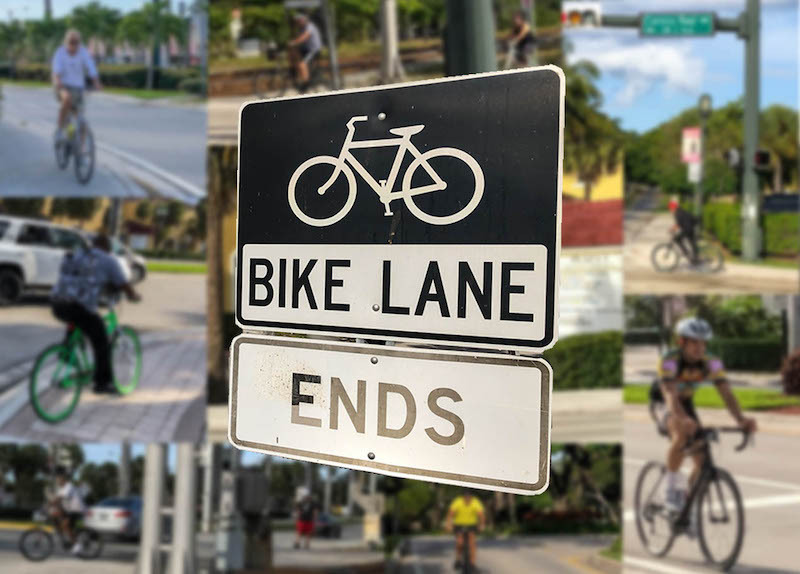 However, those improvements will eliminate bike lanes along roughly 200 feet between the FEC Railroad choke point at Dixie Hwy and Camino Gardens Blvd. That railroad crossing is at its maximum allowable width. As is common, bicyclists must merge with the traffic or the sidewalk at the chokepoint. Additionally, the attorney representing Camino Square said the City and County both recommended eliminating the bicycle lanes. Residents Lose Out So Bypass Traffic Gets Better? 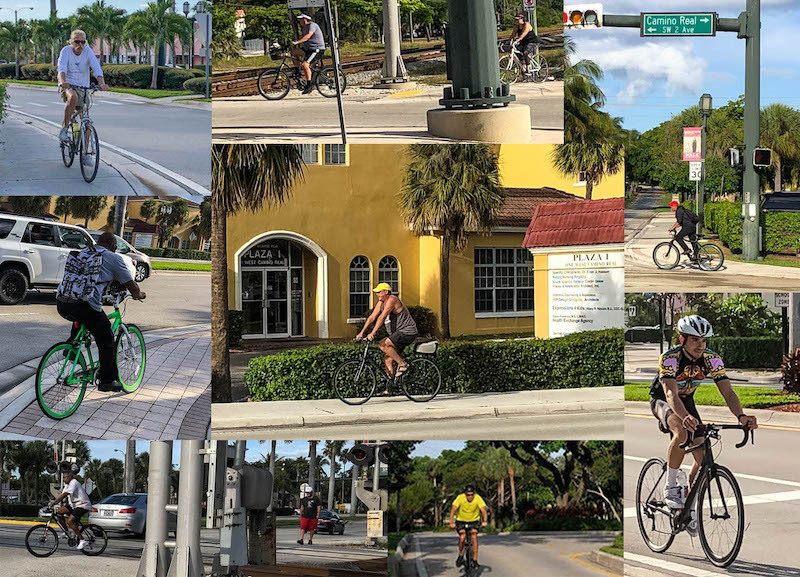 According to the Palm Beach County Transportation Planning Agency, the 1984 Florida Bicycle Bill requires county and local municipal governments to give full consideration of the bicycle when planning and developing transportation. Eliminating bike lanes seems to be a step backwards. The project’s traffic expert reported that during his observation periods there was little to no bicycle traffic. After the groaning from residents who knew better subsided, he added that he only could observe during specific hours on weekdays. Those of us who live there know this is a popular route for bicycling not only to the beach, but also to and from the retail which is there. On a lark, I visited the area Saturday March 30th between 8:55 and 9:40am. I counted 12 bicyclists. It is an important east west route for pedestrian and bike traffic as well as automobile. The baseline traffic data was from before the Camino Real Intracoastal Bridge closure. 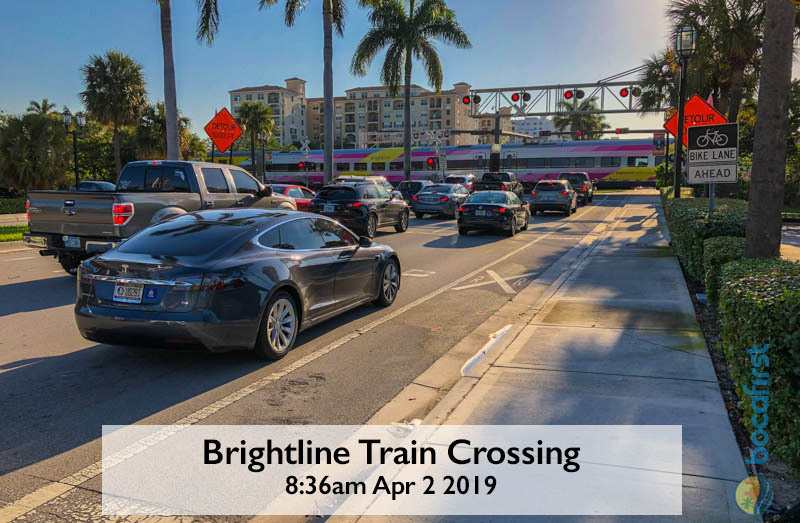 The 56% improvement assumes a Brightline crossing every 30 minutes. No freight train crossings were included because they are not scheduled. It assumes one Camino Real pedestrian crossing per hour. But he added the qualifier “The area isn’t really conducive to pedestrian crossings (of Camino Real)”. I think the 56% improvement estimate is optimistic. 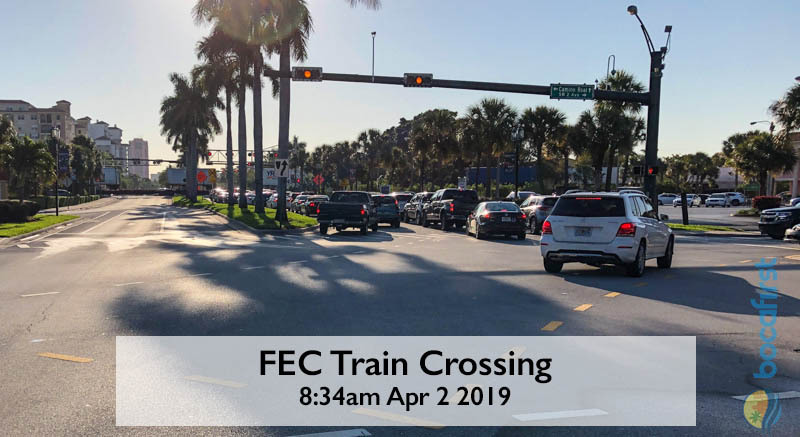 FEC trains go through the crossing all times of the day (including rush hour). They stop all east west traffic for 3-8 minutes. Pedestrian crossings also stop traffic. A single pedestrian crossing per hour in an area adding 350 apartments and promoting urban mobility also strikes me as optimistic. Will a Leader Arise to Meet Opportunity? The Camino Square project is billed as an example of mixing retail and residential. 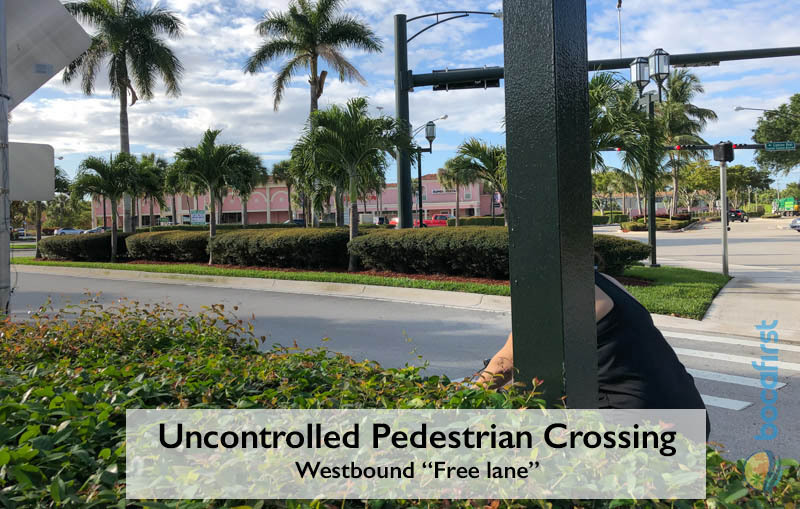 Is squishing the car traffic into 5 narrow lanes and putting all non-vehicle traffic onto 6-foot sidewalks advancing the cause of mobility in Boca? This area could be a poster child for mixed use and walkability. 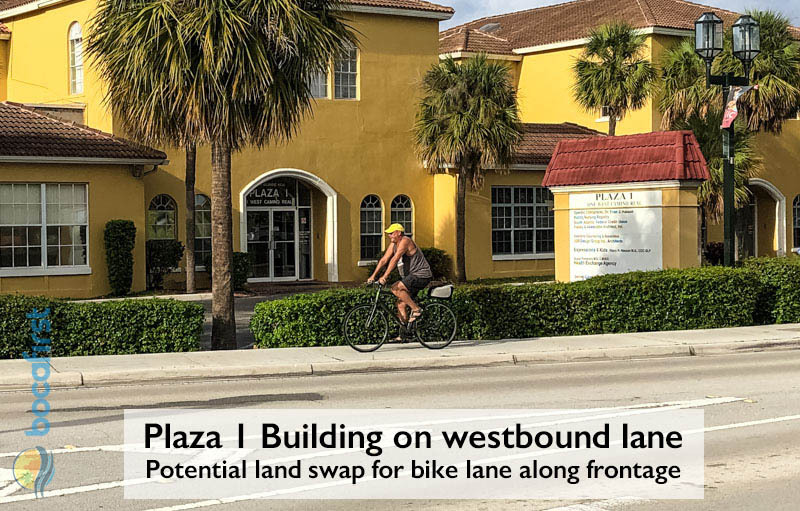 There is room on the Fresh Market and Plaza 1 properties for dual pedestrian/bike ways. But all the property owners need to cooperate. As a starting point, the money originally paid to the city to fix the intersection could be combined with Florida Crystals/Kimco’s $1.6M. It could fund a showcase urban mobility solution based on 2019 standards instead of 1988. But is there a leader among these property owners that recognizes that they, and the residents, all depend on each other? We need meaningful solutions not outdated cheap ones from 1988. I think both private and public needs can be accommodated in the Camino Square development. But it takes common goals and an altruistic belief that each of the properties are connected to the entire community. If they are knitted together, a great place will be created. I think residents and business leaders want Boca Raton to be defined by more than Mizner Park and have many areas that are great places to live, work and play. Potential Pedestrian/Bike Ways through collaboration of City and Property owners for the collective benefit of all. The residents and businesses of southeast Boca Raton are due the traffic improvements to Camino Real and Dixie with or without the Camino Square project. If you agree, contact your council members. 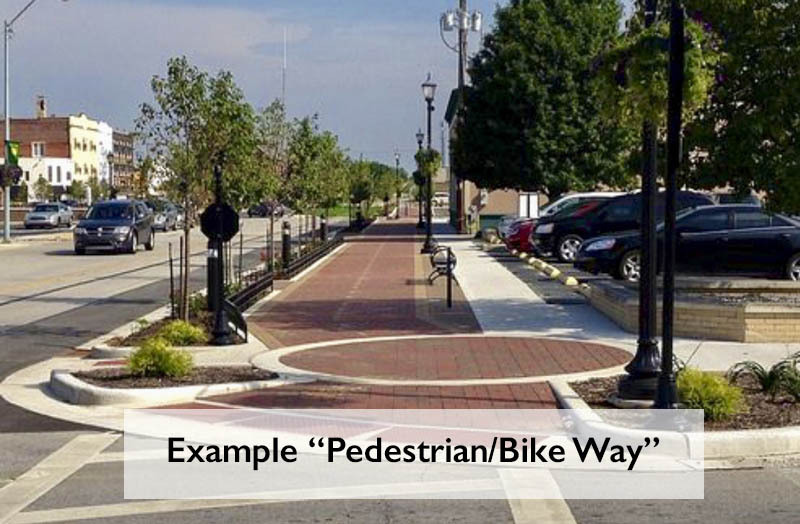 If this project is to be approved, I respectfully urge the CRA to only permit it under the conditions that the area property owners agree to connection points for dual pedestrian/bike ways and crossings. Les is a retired IBM Senior Technical Staff Member after a 35 year career in product Research and Development. He has lived in Boca since the early '90s and is an expert resident of South East Boca.